IC 21 and the Jackson Hole Energy Sustainability Project (JHESP) continue to advise the Students for Sustainability club (S4S) at Jackson Hole High School. Its mission is to create tangible change through conservation, energy efficiency and analysis that then educates the student body and community. In October, S4S will begin work on Phase II of its solar initiative, adding a second solar array at the JHHS Bronc’s stadium to offset all energy consumed by the sports complex. The club also plans to attend a national sustainability conference this fall in order to network with environmentally-minded young people from around the US and develop programing for a local Sustainability Summit—possibly for the spring of 2014. 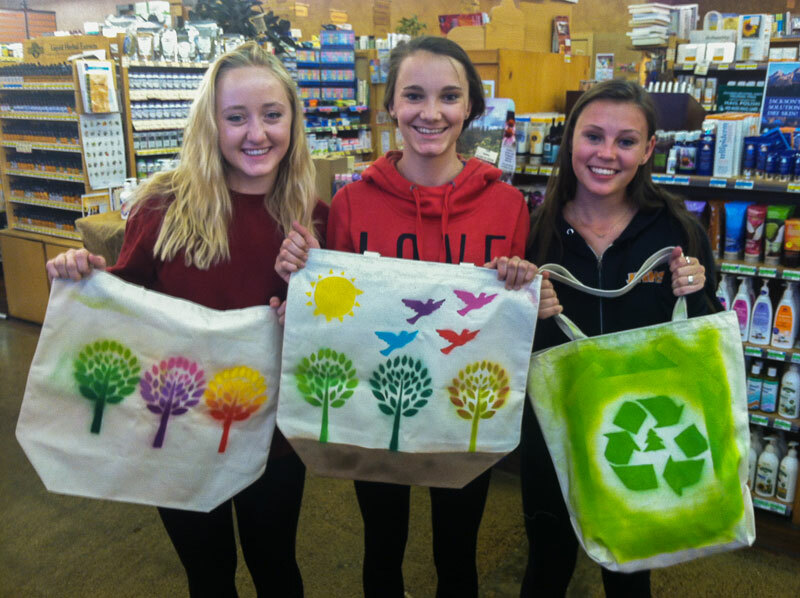 This spring S4S undertook smaller scale projects such as distributing reusable grocery bags decorated by elementary school children and producing a short documentary about its efforts to strengthen the JHHS recycling program. Currently the club is installing new water fountains at JHHS to encourage refilling bottles.